Here’s a real find! 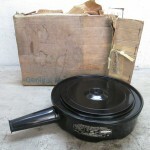 NOS 59 – 60 Pontiac 4bbl Air Cleaner. It may be the only NOS one in existence. 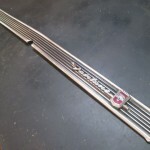 Look for this and other cool classic car parts on our eBay auctions page or contact us to buy ASAP. 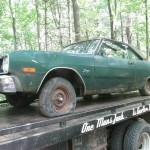 1975 Dodge Dart – Parting out 1967 – 1976 A-Body and 1970-1974 E-Body disc brakes. 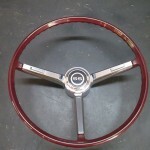 Check out this near perfect, original 67 Chevelle steering wheel in a rare color. 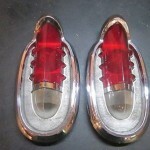 These 55 Merc tail lights were found in the attic of an old auto body shop. Being out of direct sun light for 40+ years really preserved them. 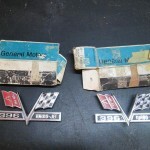 This hard to find 66 Fairlane GT tail trim was just found in the attic of an old auto body shop. 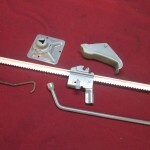 Because it has been out of direct sun light for years, the anodizing and color are excellent. 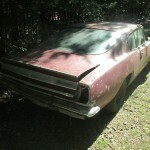 Did you know Chevy jack hooks from 1964 to 72 ID the model and year? See, we don’t just try to sell you stuff, we educate!